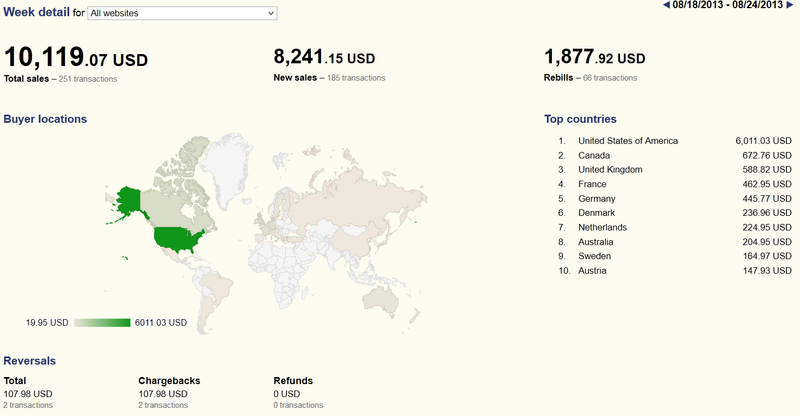 The middle section of the Detail page now shows the “Top 10 countries” from which your buyers came and a “heat map” showing these countries. Our vision is to use the middle area for various other reports such as: a list of “Top performing websites” , “Sale breakdown per sale currency”. Are there other reports you want to see here ? Let us know ! 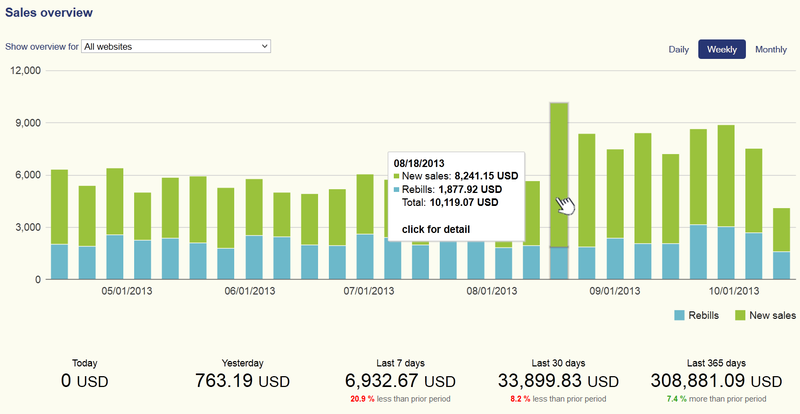 The sale detail now shows a log of events related to the sale. This will provide useful information about the events in our system and also provide a history of actions related to a given sale. The Activity log will make the processing actions more transparent and provide merchants with valuable troubleshooting information. Please note: The activity log only contains data collected since September 12, 2013. For older sales the Activity log may appear empty or the list of events will be incomplete.